Funthyme, who are also hosting the 'Beat' supper club near Broadway Market, are holding an historical supper club at The Geffrye Museum in Kingsland Road, with dishes from the 17th to the 19th century. It's more expensive than most at £55 per head, but it is also BYOB. 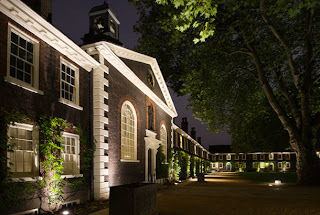 "Funthyme have collaborated with The Geffrye Museum to present 'Food Through The Ages', a unique and very special evening combining historic food and interiors.